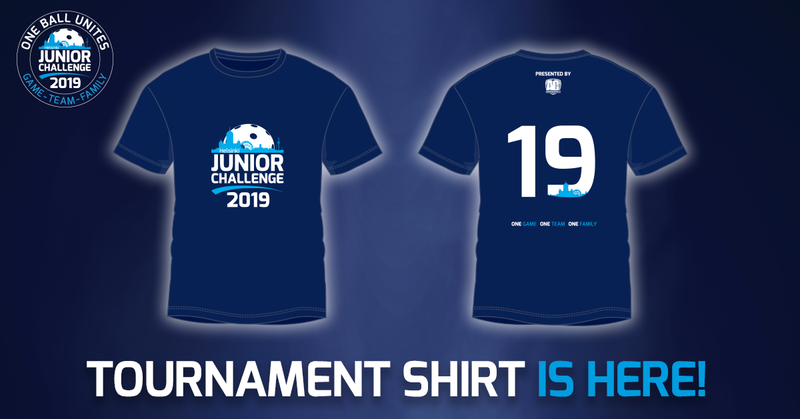 Helsinki Junior Challenge 2019 tournament shirt is here! Remember to add shirt sizes in Torneopal! Helsinki Junior Challenge 2019 is coming closer every day and now it's time to publish the tournament shirt design! Tournament shirt is included in tournament passes bought before 15.4. and your team must have the shirt sizes in Torneopal before that date. You can fill in the size information in Torneopal (Own team -> Players) and next to players name, there is a field for T-shirt size.